Nearest NCP car park, 2 minutes away. 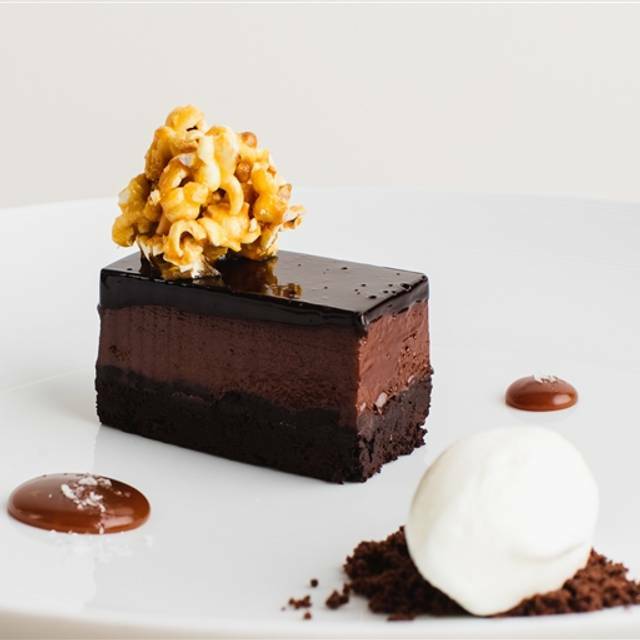 Ormer Mayfair is overseen by celebrated Michelin star chef Shaun Rankin. 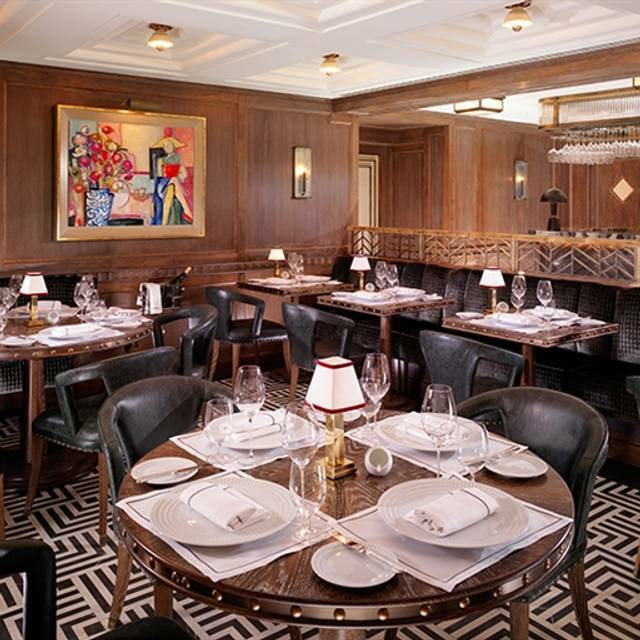 This stunning art deco inspired interior of the restaurant, located in the heart of Mayfair, is awash with 1930s glamour with leather banquette seating, dark oak wall panelling and hand-crafted chevron glass screens. 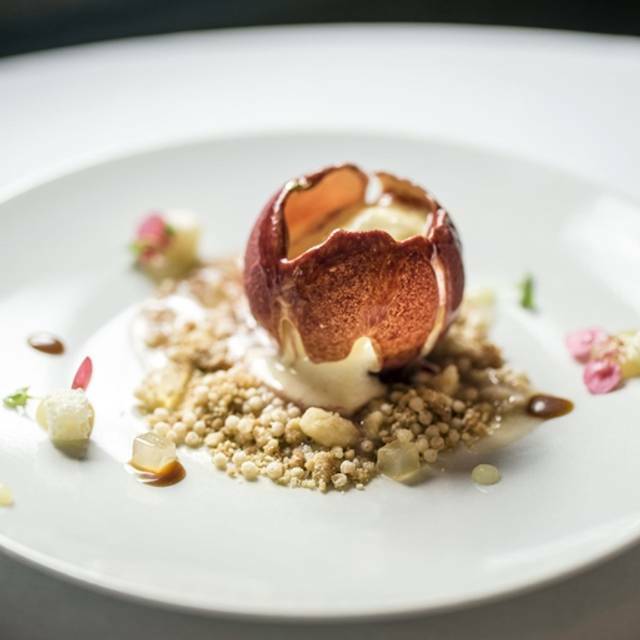 Inspiration for the food comes from Rankin’s acclaimed Jersey restaurant that has held a Michelin star since 2013. We needed to continue an international business meeting into the evening and over dinner, so we made a last minute booking after searching for nice restaurants in the vicinity of Green Park with vegan menus. 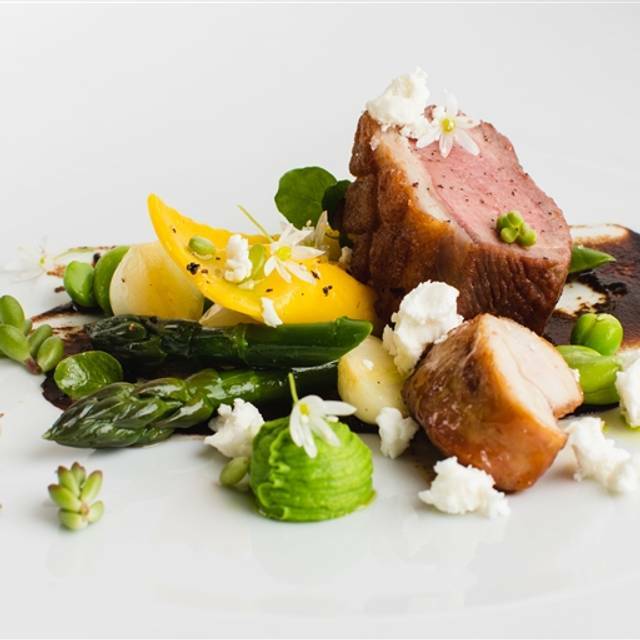 What a find; we loved every course, the service was exemplary and the ambiance was perfect. We successfully concluded the meeting with an evening to remember for everyone in our party. Our thanks to all of the staff for an outstanding experience. Great food from a well presented menu. Staff were attentive genuine and knowledgeable. The whole experience was first class and memorable. If one can have too much attention we did in that too many different people served us. The food was good. Have tasted better white Sancerre. A French Pinot noir would have been good. Overall a good experience. Excellent service. We had the pork which was cooked in the Spanish style and very tasty. Fantastic Restaurant , Great Food and service really unique and deserves a Michelin Star. Nice to start with a glass of wine or cocktail in the beautiful bar on the same level of the restaurant which is really cosy and intimate. Service and food deserve Michelin star. Might want to improve the noise lvl and dresscode. Nos lo había recomendado un amigo y efectivamente fue un acierto. El trato fue magnífico y, en todo momento, nos hicieron la estancia muy cómoda, ayudandonos mucho a superar la barrera del idioma. El restaurante es muy elegante y está situado en uno de los mejores barrios de Londres. Cenamos a la carta, pedimos 3 entrantes y dos principales. Todos los platos estaban deliciosos, bien presentados y la combinación de sabores y aromas era audaz y con mucha coherencia. El único pero, en mi opinión, el tamaño de las raciones, algo escasas. Cabe destacar el soufflé de limón y ruibarbo, uno de los mejores postres que hemos probado jamás. Been there for the second time and it will definately not be our last one. It was absolutely fantastic. 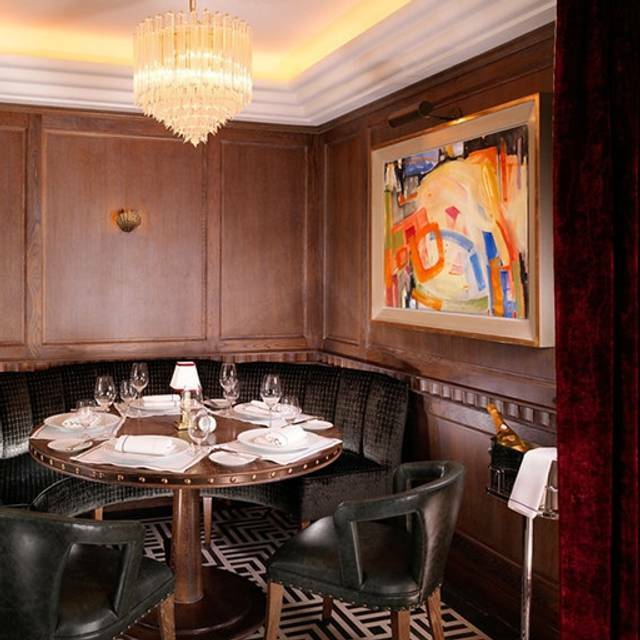 I dine at the Ormer when in London twice a year. The emphasis is on seafood but there is plenty of choice for those who prefer other options. Quality and presentation of the dishes is excellent, and the wine list is geared to complement the food. One or two dishes are perhaps just a little over elaborate. Front of house service is the same superb standard: it is well worth consulting the staff as to which starter will best suit the main course for example. Attention to detail is meticulous at every level: green tea comes in an elegant Japanese Teapot with matching cup. Perhaps not for an intimate dinner for two or a serious business meal: a full house of appreciative diners can be somewhat noisy. 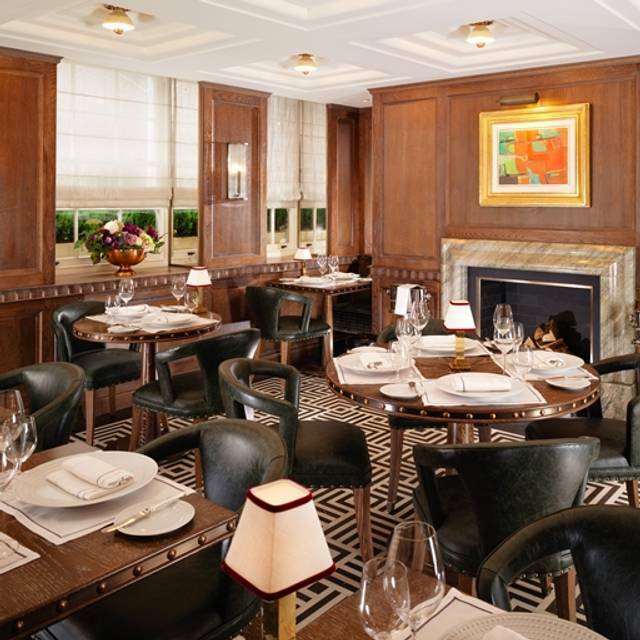 My fiancee and I booked at Ormer for our birthday weekend and both opted for the tasting menu. In terms of first impressions, the restaurant itself is nicely ambient and has a laid back atmosphere compared to most other restaurants of it's type. The decor is a stunning deco-style and very easy to relax in. The staff welcomed us warmly and were attentive throughout the evening. As the night went on we had some great conversations with the manager and our waiters and they gave descriptions of every course that they brought to us, answering any questions that we had. In terms of the food: A huge amount of depth to every dish and a perfect amount of each dish. 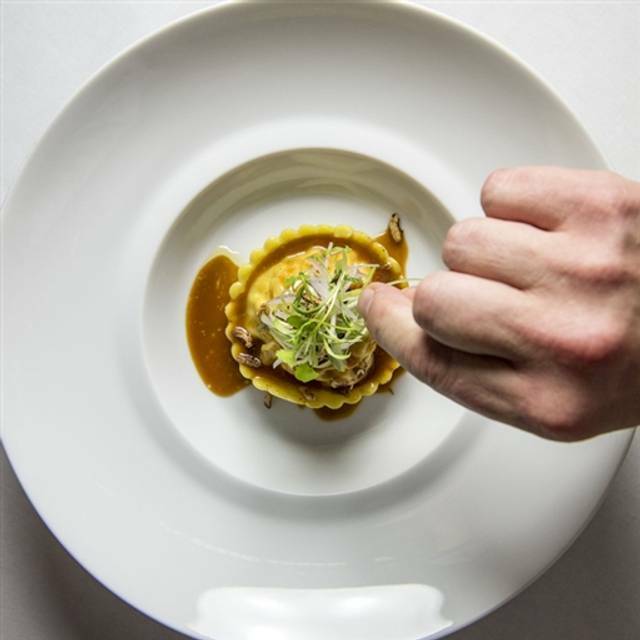 My personal favourite was the lobster raviolo. Unfortunately this costs a supplement, which is a shame because it means that many people may miss out on it, as it is sublime. This was accompanied by a fantastic wine list. We had the most amazing time at the Ormer Mayfair. The staff was wonderful and knowledgeable. Lovely service and even better food resulted in a great evening. The perfect service, the beautiful looking starter and main course were as tasty as they looked beautiful. I would go back again in a heartbeat. Once again, superb food, service and amazing value. The rabbit starter with truffle was amazing. Lovely. Thanks for having us. Amazing place with great food and service. Strongly recommend it. We had champagne set menu with half bottle of champagne to take home. Very nice! Service is great. This was a wonderful restaurant with a fantastic twist on food which delighted me and my friend. Highly recommended, though a bit pricey and this seems to cause the waiters to be a little over attentive. A real find in Mayfair. The food, service, drinks prices are quite acceptable. The staff are good and the venue is private. From the outset the service was impeccable in the Ormer. The venue is very professional and suited the business dinner we attended. The food was superb and I cannot fault any aspect of the entire experience of dining at the Omer. Thoroughly recommended. Another superb experience. Everything was perfect but the "cote de boeuf" was the brightest star. The meat was tender, cooked perfectly with wonderful flavour. The quantity is large and could easily feed three people. The pork dish and the "apple crumble" are highly recommended. The staff were pleasantly attentive to make an overall superior experience! Excellent food, nice atmosphere. 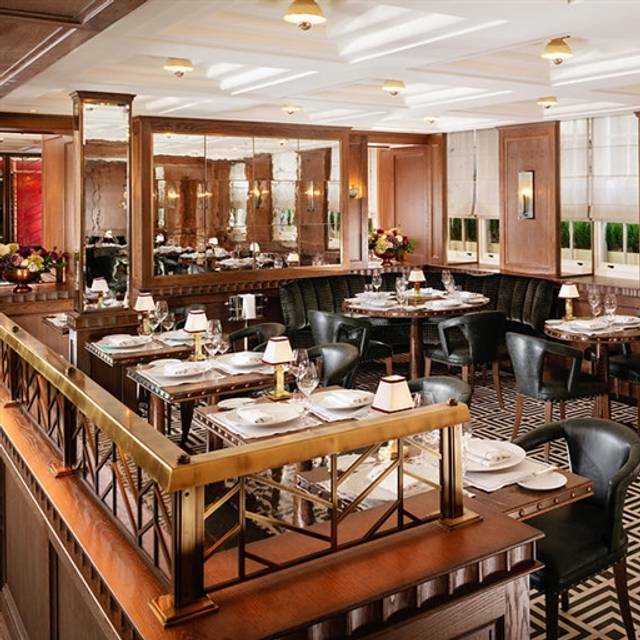 That was our second time at Ormer Mayfair and our second excellent experience. 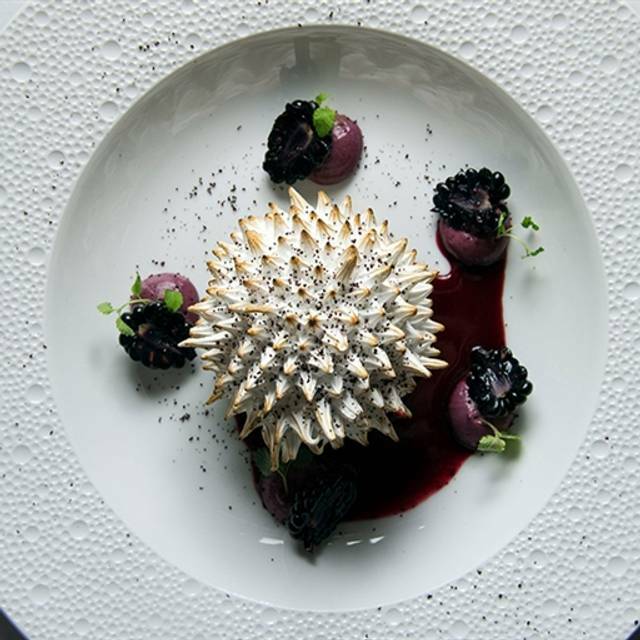 Try the starter with egg, truffles and artichokes of Jerusalem. Really great! This was everything I expected from a high quality restaurant. Great food and service, an inventive and interesting menu and overall a great experience. Fantastic food, we had the vegetarian tasting menu and the food was excellent. We loved all of the food. Beautifully presented and tasted fabulous. The wine was superb. The chef came out to explain each dish to us. The level of service was impeccable but unintrusive and discreet. I was simply given a new clean napkin when mine slipped to the floor. The set menu was extremely good value. What a treat! The food is totally delicious, super wine list, delightful service and all in lovely ambience and beautifully decorated intimate surroundings. Fabulous! Very attentive staff, especially with regard to allergies and no problems accommodating gluten free! the Place knows the point to be a good one, good Michelin standard even though you dont have to book that early. Dreadful. Food over cooked and when sent back was told the chef has cooked correctly. Overcooked Duck tastes like liver! I have eaten in many Michelin star restaurants this place is a world away. Expensive food, ignorant chef and a panicked front of house. They knew it was poor but had the cheek to change dishes and then charge a full bill. I’m sorry but Mr Rankin if you were in the Kitchen you should be ashamed and if our were not I suggest having a word. What the restaurant did not know is that we also review for many magazines and newspapers. Just shows you never know who is in your restaurant and always treat all clients as ou wish to be. Nice athmospher and overal good service. The staff were friendly and warm. Food was tasty , however portion small.